President Obama is to blame for the Paris terrorist attacks, according to Barry Sternlicht, CEO of Starwood Capital Group. Sternlicht told Bloomberg that Obama underestimated the threat posed by ISIS. "This is the president's fault what happened in Paris," he said. "He said this was the [junior varsity] team. He said these guys weren't real. And everyone in the Middle East has been telling him differently. He's been looking the other way." Obama made the JV remark in an interview with the New Yorker in January of 2014, though he has tried to back off that comment since then, claiming he was referring to a wide range of Middle East groups that did not pose the threat of al Qaeda. 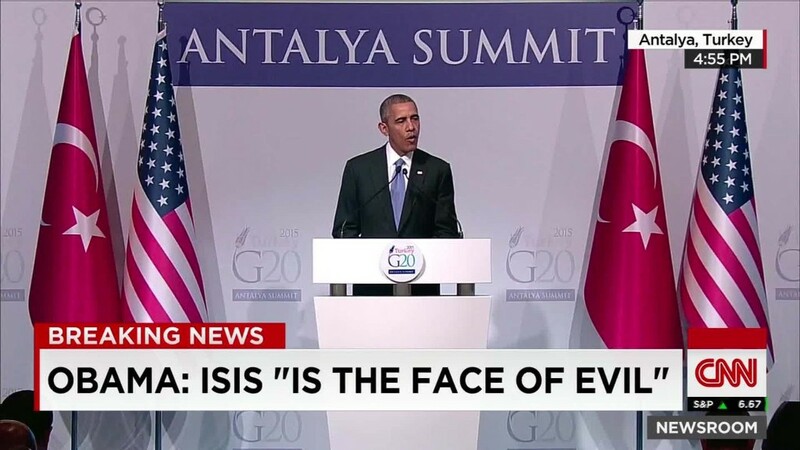 Obama has ordered bombings and other actions against ISIS since he made that comment. But he did say in an interview with ABC News just the day before the Paris attack that U.S. strategy against ISIS has "contained them," but not yet succeeded in its effort to "decapitate" the organization's leadership. On Monday he repeated his earlier position that using group troops to fight ISIS would be a mistake. Sternlicht clarified the remarks he made to CNN. "Unfortunately my comments yesterday were cut off due to the end of the segment, but the point I was trying to make was presidential policies under this administration have contributed to the growing threat of international terrorism and allowed groups like ISIS to grow unabated, particularly in places like Syria," Sternlicht said. "Had we confronted groups like these earlier when they were smaller and taken more seriously the threat they posed, incidents like those in Paris I believe could have potentially been avoided." Sternlicht was being interviewed because the company he founded, Starwood Hotels & Resorts (HOT), was just sold to Marriott International (MAR) in a $12.2 billion deal that will create the world's largest hotel chain. Starwood Capital is no longer affiliated with Starwood Hotels. Sternlicht is a major supporter of Republican presidential candidate Jeb Bush. He's given $100,000 to Right to Rise USA, the Super PAC that supports Bush, as well as the maximum $2,700 donation directly to Bush's campaign. He's also given money to numerous Democrats, including donations to Hillary Clinton during her 2008 presidential campaign.